SHOULD YOU FAIL UNDER YOUR OBLIGATIONS TO PROVIDE MYCRA WITH PAYMENT YOUR FILE WILL BE PAUSED IMMEDIATELY. WHERE YOUR ACCOUNT IS NOT REMEDIED WITHIN 30 DAYS FROM THE FIRST PAYMENT DEFAULT YOUR FILE WILL BE CLOSED. YOU REMAIN LIABLE FOR ANY DEBTS INCURRED UNDER THIS AGREEMENT EVEN WHERE YOUR ACCOUNT HAS BEEN CLOSED. SHOULD YOU FAIL TO PROVIDE, WHEN REQUESTED INFORMATION, DOCUMENTS OR ANY OTHER REASONABLY REQUESTED ITEMS WITHIN 30 DAYS OF A REQUEST YOUR FILE WILL BE PAUSED. SHOULD YOU CONTINUE TO FAIL TO PROVIDE WHEN REQUESTED, INFORMATION, DOCUMENTS OR ANY OTHER REASONABLY REQUESTED ITEMS 30 DAYS AFTER YOUR FILE HAS BEEN PAUSED YOU FILE WILL BE CLOSED. YOU REMAIN LIABLE FOR ANY DEBTS INCURRED UNDER THIS AGREEMENT EVEN WHERE YOUR ACCOUNT HAS BEEN CLOSED. UNDERSTAND THAT IF A FILE IS PAUSED, THAT NO WORKS WILL BE UNDERTAKEN BY US UNTIL THE FILE IS REACTIVATED. UNDERSTAND THAT IN THE EVENT YOUR FILE HAS BEEN PAUSED FOR 30 DAYS OR MORE, WHETHER AT YOUR REQUEST OR NOT, THAT A REACTIVATION FEE OF $550 AND PAYMENT OF ANY OTHER OUTSTANDING AMOUNTS, ARE TO BE RECEIVED BY US AS CLEARED FUNDS PRIOR TO WORK RESUMING ON YOUR FILE. ONCE YOUR DEFAULT/LISTING HAS PROGRESSED TO STAGE THREE, OR YOU BECOME AWARE THE LISTING HAS BEEN REMOVED OR SCHEDULED FOR REMOVAL, WE DEEM THIS AS A SUCCESSFUL REMOVAL DUE TO THE WORK CONDUCTED BY US. ACKNOWLEDGE THAT UPON RECEIPT OF NOTIFICATION FROM YOUR CREDITOR (OR THEIR AGENT), CONFIRMING THAT THEY WILL REMOVE YOUR CREDIT FILE LISTING, THAT YOU MAY BE REQUIRED TO TAKE FURTHER ACTION OR MAKE PAYMENT IN ORDER TO FINALISE THE REMOVAL PROCESS. ONCE THIS ACTION IS TAKEN, YOUR LISTING WILL NORMALLY BE REMOVED WITHIN 10 WORKING DAYS. UNDERSTAND THAT WHILST WE MAKE EVERY EFFORT TO ACHIEVE THE VERY BEST POSSIBLE OUTCOME FOR YOU, THERE ARE A NUMBER OF FACTORS WHICH ARE NOT WITHIN OUR CONTROL. 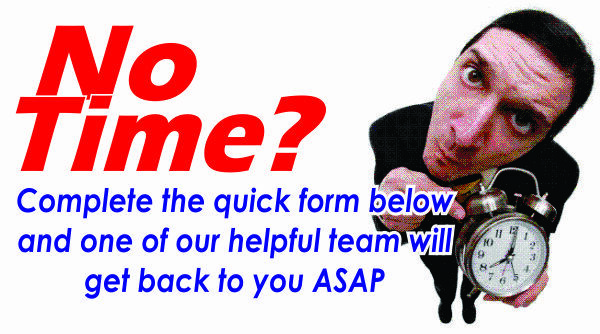 WE UNDERSTAND THAT TRYING TO HAVE YOUR CREDIT FILE REPAIRED CAN BE VERY FRUSTRATING ALSO. WE DO HOWEVER HAVE TO INSIST ON SOME BASIC COURTESIES. OUR STAFF ARE NOT EXPECTED TO TOLERATE ABUSE OR PERSONALLY INSULTING REMARKS, COMMENTS OR BEHAVIOUR. WE LIKE TO THINK OF IT AS COMMON COURTESY AND BASIC GOOD MANNERS. IF YOUR CONDUCT FALLS SHORT OF THESE STANDARDS THEN WE RESERVE THE RIGHT UNCONDITIONALLY TO TERMINATE OUR ARRANGEMENT WITH YOU. IN THE EVENT OF SUCH A TERMINATION, WE SHALL INFORM YOU IN WRITING, CEASE WORK ON YOUR FILE AND ALL MONIES PAID BY YOU SHALL BE FORFEITED AS AND FROM THE TERMINATION. THIS IN NO WAY EXCUSES YOU FROM LIABILITY OR PAYMENT OF ANY OTHER MONIES DUE AND PAYABLE UNDER OUR AGREEMENT. YOU SHALL NOT BE ENTITLED TO A REFUND OF ANY NATURE. NO CORRESPONDENCE SHALL BE ENTERED INTO AND WE SHALL NOT ASSIST YOU FURTHER. UNDERSTAND THAT IN THE EVENT YOU WISH TO UPGRADE YOUR CREDIT RATING REPAIR PRODUCT, NEW FEES AND DOCUMENTS WILL BE REQUIRED FROM YOU AS PART OF THE UPGRADED PRODUCT AND PROCESS. HEREBY AUTHORISE MYCRA PTY LTD TO DO ANY AND ALL SUCH THINGS NECESSARY TO ASSIST IN THE INVESTIGATION AND CORRECTION WHERE POSSIBLE OF LISTINGS, NOTATIONS AND OTHER SUCH ENTRIES OF ANY CREDIT REPORT OR RECORD OR INFORMATION AS MAY BE HELD ON OR ABOUT ME ANYWHERE AND IN ANY JURISDICTION IN BOTH AUSTRALIA AND NEW ZEALAND INCLUDING BUT NOT LIMITED TO CONTACTING AND ACCESSING PERSONAL AND CREDIT INFORMATION HELD BY CREDITORS, CREDIT REPORTING AGENCIES AND ANY OTHER ENTITY OR INDIVIDUAL THAT MAY HOLD INFORMATION. THIS AUTHORITY SHALL BE DEEMED TO GIVE ANY EMPLOYEE OF MYCRA PTY LTD FULL AND UNRESTRICTED ACCESS TO SUCH INFORMATION ON MY BEHALF. THIS AUTHORITY SHALL REMAIN EFFECTIVE UNTIL SUCH TIME AS IT IS REVOKED IN WRITING BY THE INDIVIDUAL EXECUTING THIS AGREEMENT. AGREE THAT YOU HAVE READ, UNDERSTAND AND AGREE TO THIS AGREEMENT AND HAVE EITHER SOUGHT LEGAL ADVICE OR CHOSEN NOT TO DO SO. IF ANY TERM OR PART OF A TERM OF THIS AGREEMENT IS OR BECOMES LEGALLY INEFFECTIVE, INVALID OR UNENFORCEABLE IN ANY JURISDICTION IT WILL BE SEVERED AND THE EFFECTIVENESS, VALIDITY OR ENFORCEABILITY OF THE REMAINDER WILL NOT BE AFFECTED. ACKNOWLEDGE THAT MYCRA PTY LTD RESERVES THE RIGHT TO ALTER ANY OR ALL OF THESE TERMS AT ANY TIME. MUST ALSO COMPLY WITH THE MYCRA PTY LTD GENERAL TERMS AND CONDITIONS. AGREE THAT THE REMOVAL PAYMENT WILL BE AUTOMATICALLY DEDUCTED OR DEBITED FROM YOUR CREDIT CARD, DEBIT CARD, OR BANK ACCOUNT WITHIN 7 DAYS OF MYCRA RECEIVING ADVICE OF THE PENDING REMOVAL OF YOUR LISTING AND YOU BEING NOTIFIED. UNDERSTAND THAT THE REMOVAL TIME WILL BEGIN ONLY ONCE WE RECEIVE YOUR FULL AND COMPLETE APPLICATION, WHICH INCLUDES ALL APPLICATION FORMS, SUPPORTING DOCUMENTS, SIGNED LETTERS OF AUTHORITY, SIGNED OMBUDSMAN FORMS, PHOTO ID, DRIVERS LICENCE AND A COPY OF BOTH YOUR VEDA ADVANTAGE CREDIT FILE AND YOUR DUN & BRADSTREET CREDIT FILE, YOUR MEDICARE CARD AS WELL AS FULL AND DETAILED EXPLANATIONS OF THE CIRCUMSTANCES THAT LED UP TO YOUR CREDIT FILE LISTING, WITH ANY ADDITIONAL INFORMATION AS REASONABLY REQUESTED BY US FOR YOUR LISTING REMOVAL. 37-42 DAYS $100 PRIORITY ONE FEE DUE AND PAYABLE. UNDERSTAND THAT IF MYCRA PTY LTD IS ABLE TO PROCEED TO STAGE 2 WITH THE APPLICATION, THAT NO REFUNDS WILL BE MADE TO YOU. UNDERSTAND THAT THIS PRODUCT IS "NO FRILLS" WHICH EXCLUDES CUSTOMER SERVICE, SUPPORT, THE MYCRA ONLINE TRACKING SYSTEM, AND UPDATE CALLS. TELEPHONE CALLS TO OUR OFFICE REQUESTING A PERSONAL UPDATE ON YOUR MATTER MAY ATTRACT OUR UPDATE FEE OF $41.87 PER CALL. ACCEPT THAT BY PROVIDING US WITH YOUR CREDIT CARD OR DEBIT CARD OR BANK ACCOUNT DETAILS YOU SPECIFICALLY AUTHORISE US TO DEBIT ANY AND ALL FEES DUE FOR ANY PAYMENT THAT ARE OUTSTANDING. THESE FEES WILL BE AUTOMATICALLY DEBITED FROM YOUR ACCOUNT 7 DAYS AFTER THE FEE BECOMES DUE. N YOUR �PREMIUM� PRODUCT AND IS DESIGNED TO PROVIDE YOU WITH THE MOST RECENT STATUS OF YOUR MATTER. WILL BE REQUIRED TO PAY A DEPOSIT OF $500. WILL BE REQUIRED TO MAKE UP TO 52 WEEKLY PAYMENTS AND TO SIGN SUCH IRREVOCABLE AUTHORITIES AS MAY BE NECESSARY AUTHORISING US TO DIRECTLY DEBIT YOUR ACCOUNT UNTIL SUCH TIME AS ALL MONIES OWING ARE PAID IN FULL. UNDERSTAND THAT A MISSED PAYMENT FEE OF $55 WILL BE DEBITED TO YOUR ACCOUNT IN THE EVENT THAT AN INSTALMENT IS MISSED. UNDERSTAND THAT ONCE YOUR DEPOSIT HAS BEEN RECEIVED AND ACCEPTED BY US, WE WILL ALSO REQUIRE AT MINIMUM; YOUR FULLY AND CORRECTLY COMPLETED ASSESSMENT FORM, YOUR DIRECT DEBIT REQUEST FORM AND YOUR CURRENT APPLICABLE CREDIT FILES, AND; UPON RECEIPT OF THESE DOCUMENTS WE WILL START THE ASSESSMENT OF YOUR APPLICATION TO STAGE 2. ACKNOWLEDGE THAT IF YOUR FILE PROGRESSES TO THE POINT WHERE YOUR DEFAULT/LISTING IS SCHEDULED FOR REMOVAL AND YOU HAVE NOT PAID THE FULL BALANCE OF YOUR PAYMENT PLAN, THE TOTAL AMOUNT UNPAID WILL CONTINUE TO BE DEBITED AS PER YOUR WEEKLY SCHEDULE. UNDERSTAND THAT IF YOU PAY OUT YOUR WEEKLY INTEREST FREE PAYMENT SCHEDULE PRIOR TO THE FULL TERM, NO DISCOUNTS WILL APPLY. ACKNOWLEDGE THAT BY SIGNING THE DIRECT DEBIT AUTHORITY AND OR THE INTEREST FREE PAYMENT PLAN AGREEMENT, YOU ARE ACKNOWLEDGING THAT YOU ARE BOUND BY THESE TERMS AND CONDITIONS AND NO VARIATION OR WAIVER REQUEST WILL BE ENTERTAINED. ACKNOWLEDGE THE APPLICATION FEE IS NON-REFUNDABLE. UNDERSTAND THAT IN THE EVENT MYCRA DOES NOT RECEIVE REMOVAL ADVICE FROM YOUR CREDITOR , YOU WILL BE DUE TWICE THE �NO WIN � NO FEE� APPLICATION FEE RECEIVED BY US. 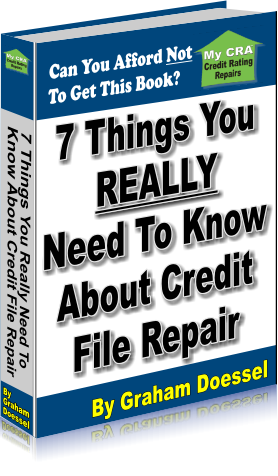 UNDERSTAND THAT SHOULD YOU WISH TO CANCEL THE CREDIT RATING REPAIR APPLICATION THAT NO REFUNDS WILL BE MADE. UNDERSTAND THAT A REFUND WILL ONLY BE PROCESSED FOR LISTINGS THAT DO NOT REACH STAGE 3 OF THE APPLICATION PROCESS. MAY BE REQUIRED TO PAY A DEPOSIT. SEALED DOCUMENTS FROM AN AUSTRALIAN COURT SPECIFIC TO HAVING YOUR CREDIT FILE JUDGMENT LISTING REMOVED. UPON RECEIPT OF THESE DOCUMENTS WE WILL START THE ASSESSMENT OF YOUR APPLICATION TO STAGE 2. UNDERSTAND THAT IF MYCRA PTY LTD IS ABLE TO PROCEED TO STAGE 2 WITH YOUR APPLICATION THAT THIS CONSTITUTES ACCEPTENCE OF YOUR AGREEMENT AND NO REFUNDS WILL BE MADE TO YOU. ACCEPT THAT ADDITIONAL FEES MAY BE REQUIRED ONCE YOUR APPLICATION IS ASSESSED AND ACCEPTED TO STAGE 2 DIRECTLY RELATING TO THE DOCUMENTS YOU HAVE OR HAVE NOT SUPPLIED WITH YOUR APPLICATION AS ADVISED IN TERM 3.